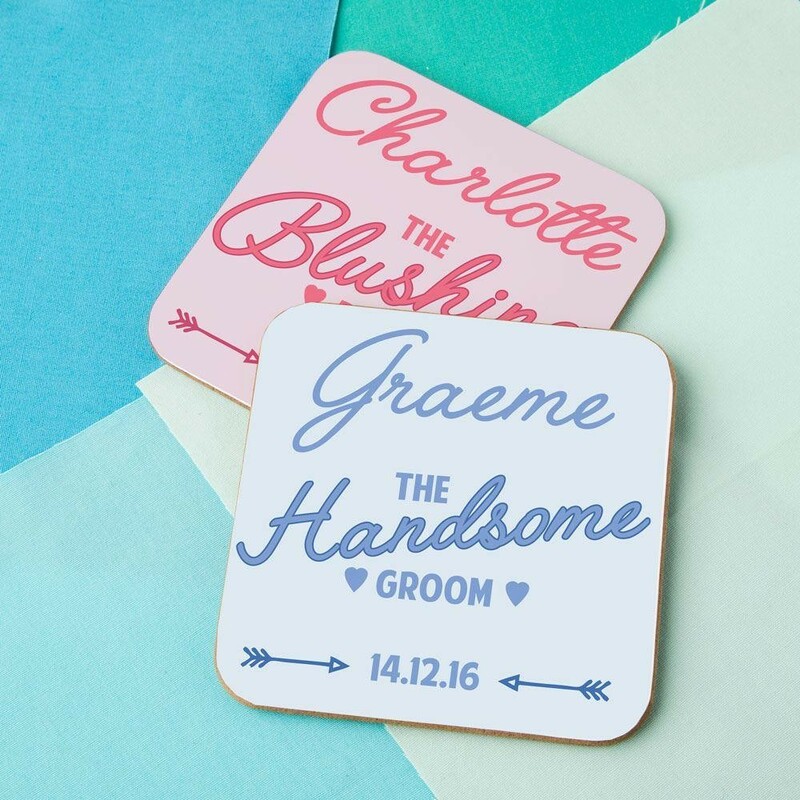 A wonderful gift for a blushing bride and handsome groom! 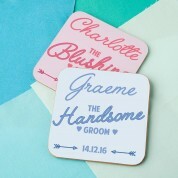 This novelty coaster set is the perfect gift idea with a difference. They will love to show them off when entertaining gusts, and will love to reminisce whenever they see them, for years to come! 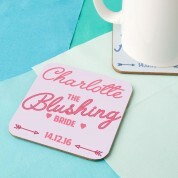 The stylish design reads “The blushing bride” in a scripted pink font on hers and “The handsome groom” in blue on his. Both read the couples' first names and special date, making it truly unique to them. So if your looking for a gift idea with a difference for a special newly wed couple, then look no further! They are sure to own nothing quite like them.